Riberac is a pleasant if rather quiet town in the Dronne valley of northern Dordogne, a quiet region to the north-west of Perigueux. Start your visit in the Place National which is at the centre of the town. From here the road meanders towards the Eglise Notre-Dame. This is a fairly new church (built in the 1930s) but has been built in the romano-byzantine style reminiscent of the nearby cathedral of Perigeux. It is quite striking with its multiple domes and separate tower. Keep walking up the hill and you will reach the older church, the 12th century Collegiale Notre-Dame. This church is one of the many Romanesque churches which dot the landscape in this area. From the church you can also get some nice views of Riberac and the surrounding countryside. 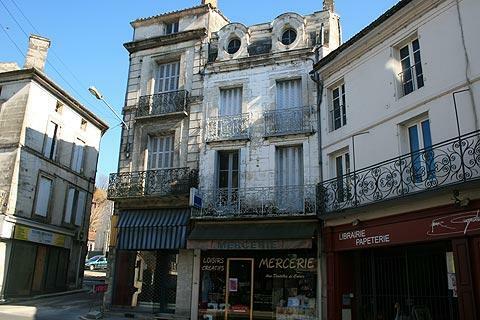 On the other side of Riberac is perhaps the most impressive building in the town, a lovely residence built in the 19th century and now the Hotel de Ville. 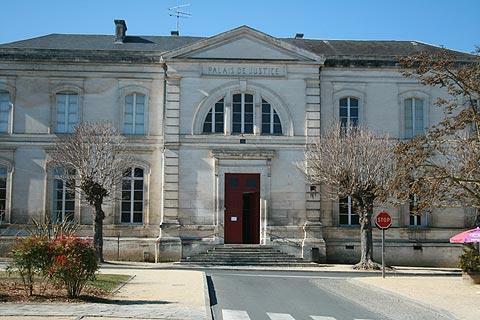 The Palais de Justice and the Office du Tourisme of Riberac are also in impressive buildings in the town. Riberac is at its best on a Friday, market day for reputedly the biggest market in Perigord and the most visited attraction in the town. There are two main attractions near Riberac - the large forest nearby (the 'Foret de la Double') which has lots of opportunities for hiking, and the small villages of the region that are well known for their traditional roman style churches. 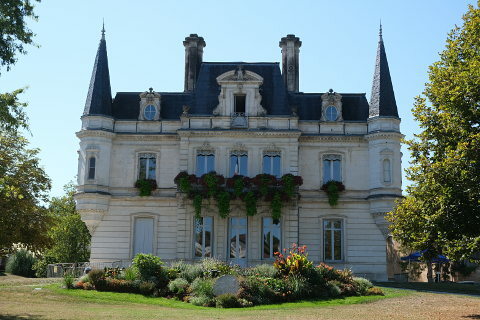 Riberac also makes a very good base for exploring this northern part of the Dordogne. 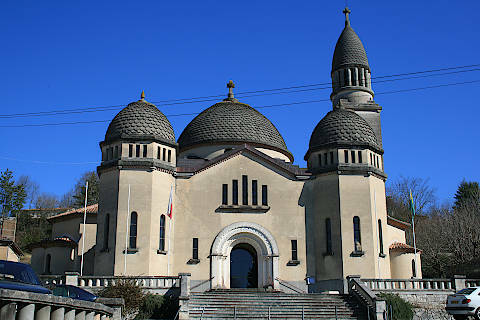 Among the places we suggest you visit are Lusignac, a pretty little village with good views, a nice medieval church and a chateau, and Aubeterre-sur-Dronne which has a magnificent underground church carved into the rock and is one of the ‘most beautiful villages of France’.